“Avengers: Infinity War” will be upon us in less than two weeks, and there’s been a lot of speculation that a character . . . or several characters . . . will DIE. Marvel isn’t talking, for obvious reasons. So Uproxx.com put together some odds on who THEY think is likely to kick the bucket. 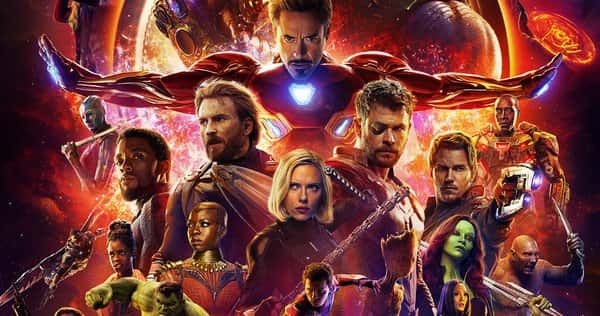 As most people know, the contracts for the original Avengers are up after “Infinity War” and the sequel that comes out in 2019. So those guys are are the top of the list. And according to Uproxx, the character who’s MOST likely to die is . . . LOKI. They give him 1 to 5 odds. He’s followed by Captain America (even money), Iron Man (2 to 1), Thor (3 to 1), and Vision (5 to 1). Hawkeye is only at 30 to 1, even though he’s nowhere to be found in any of the trailers or promotional materials so far. Black Widow has an even better chance of survival, at 100 to 1. Not surprisingly, the LEAST likely to die is Black Panther . . . or anyone else from Wakanda. Their odds are a MILLION TO ONE. And why not? They just starred in one of the biggest movies of all time. Spider-Man is next, at 600,000 to 1. Like Black Panther, he’s obviously a big part of Marvel’s plans going forward. Dr. Strange, Ant-Man, and Wasp are next, at 100,000 to 1.